When Luke and Matthew began homeschooling, we continued on with theology studies where they had left off -- both were in upper grades so much of the foundation had been laid by their schools. 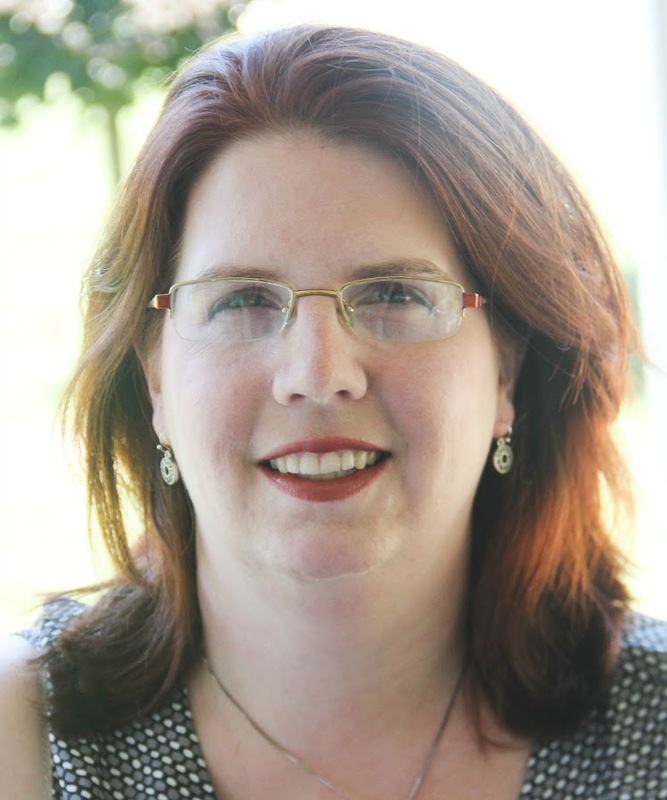 For the little boys, it's been a completely different process because of my own admitted struggles -- after our experiences with our Catholic parish and diocese, I'm caught between a few rocks. My belief in God has remained strong, and despite exploring other denominations, I realize that I'm Catholic by faith to the core. While I'm still working toward forgiving those who have wronged us, I want to teach my children my faith. Bible studies have been a thorny issue for us. Most Bible studies are aligned to the King James Version of the Bible, and the viewpoints presented are slightly different than ours. Catholic programs seem to be few and far between and finding a good Bible program that fits both our faith and the boys' learning styles has been challenging. I was intrigued by Weave Your Word in Me - Part 1 from Kid Niche Christian Books, which is designed to be translation-neutral. "Translation neutral"? What does that mean? Well, in a nutshell, Kid Niche takes the core lessons of the Bible and uses them to guide the user's reading, but refers the reader back to the chapter-and-verse passages in his own Bible, rather than providing the scripture passages printed within the study. This allows multiple faith denominations to use the same core guide, but approach the Bible from their points of view. It works with any of the most popular translations: KJV, ESV, NKJV, NIV, NASB, and our preference, the NABRE. Where there is a difference in where to find things, it will indicate this, so that the student is studying the correct Bible verse for the lesson. 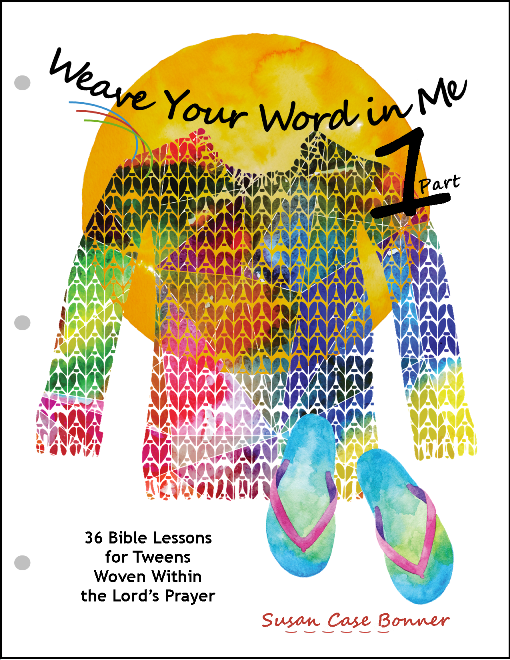 Weave Your Word In Me takes the prayer Jesus taught his disciples (and therefore us) and unravels it in a way that children can learn the "great God-truths Jesus has woven within the Lord's Prayer." I really like this approach - as a child, I learned my prayers by rote, without really understanding them. This program combines both learning the lessons of the Bible and learning to have a relationship with God. It's a very different approach from Jude's past studies, which have been more historical in nature than personal. The program is geared toward later elementary students (grades 4 to 6), and I think this is an appropriate target age. I think this study does a good job of helping support the emerging thinking and faith of children in this bracket without becoming "too" anything -- it's not too simple for the almost-teens, but not too deep for the younger end of the age range. It's a program that I think could be used for students slightly younger and older; a student could start with it at 8 or 9, and then revisit at 12-turning-13, and as their thinking matures, their answers will change. I notice that Jude is still in a more "literal" phase, while I think Celia would be beginning to find more philosophic/theologic answers. I liked that while some answers are very literal, and basically "if you find the correct verse, you just need to fill in the blank," there are also places where the student needs to read and then parse the readings to find the correct answer. It's not a huge leap from "what it says" to "the answer you need," but it's just enough to help encourage "figuring it out from context" rather than a purely literal reading. On a practical note, I liked that this arrived as a pre-printed, pre-punched packet that just needed to be popped into a binder. It's also on a heavy-weight paper, which means it holds up to erasing misspellings. 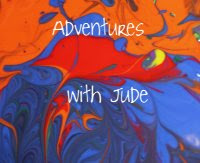 Each of the 36 lessons is only one to four pages; lessons take Jude no more than about fifteen minutes. Each day is short, but still fully teaches him the core lesson of the day. There is also an "answer key" provided, so if your child is working independently, the parent can easily check answers. While Weave Your Word in Me - Part 1 is the first "half" of the program, there is a Part 2 available, as well as a full 80-lesson version. I think if I were to purchase this myself, I would get the full 80-lesson program. I think if you had a relaxed approach or another religious study program going on simultaneously, once-a-week might be sufficient, but at our two-to-three-a-week pace, we will finish this in the "first quarter" of our school year. Jude liked this study and wants to continue past the review period. Subject aside, it's always a good thing when he says "I don't want to be done." He enjoyed the seek-and-find aspect of the program - each "question" referred to a different book and/or verse of the Bible. He was proud of himself when he remembered whether a specific book was Old Testament or New Testament, too. His prior Bible study courses were more chronological -- beginning with "In the Beginning..." and continuing from there. I like how this pulls verses from the Old and New Testaments, showing how the lessons God shares through Scripture are timeless - from the beginning of Genesis to the writing of Revelation and right on through until today. For more reviews about this program, click the banner below.